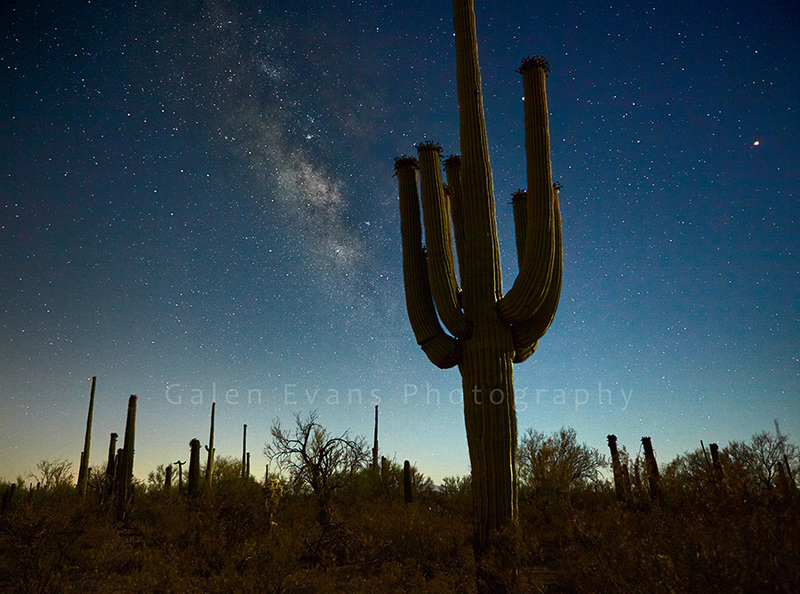 Time for a bit of summer nighttime photography in the southwestern desert. Took a trip out past Gates Pass west of Tucson with my friend Derrick, where we set up at a spot we had scouted out previously. Shot at about 12:30am in mid-June, this was a 15 second exposure at f/2.8, ISO 400. Taken with the Canon EOS 5D Mark III DSLR camera and the Canon EF 24-70mm f/2.8L USM lens. For a trigger, I use the Satechi WTR-A wireless timer shutter release/intervalometer. The only real downside to the Satechi is that the transmitter does not have a power button, so the batteries must be taken out after use in order to avoid battery drain. Otherwise, it’s a solidly built device at about half the price of Canon’s TC-80N3 timer remote controller. This article was posted in Nature and tagged astrophotography, Nature, Tucson.